Psychology Today and Forbes Coaches Council leadership expert helping overworked professionals hone their lives precisely toward abundance, passion, and purpose. "Sylvia is here!" Everyone perked up as she came through the door and deliberately hugged them all. "Michael, how is your dog's leg?" "Shana, how is your Mom doing?" "Oh my, Jennifer, she's precious!" she said, caressing the face of a new-born infant. It felt like a church group meeting, maybe a fraternity, sorority, or family reunion or past exchange students who had traveled the world together. 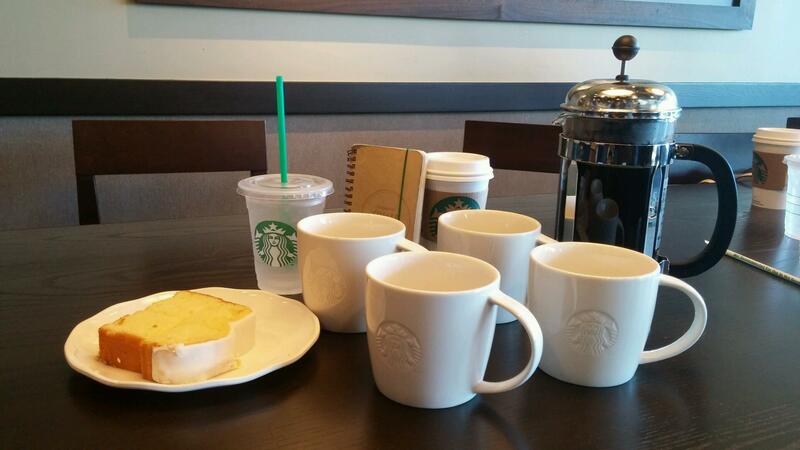 Alas, it's a routine day at a Starbucks. This routine of passion, purpose, and compassion has grown this company from approximately 4,500 stores in 2004 to 21,500 in 2014. Starbucks is 196 on the Fortune 500 list (up from 208 the previous year) and is 5 on the most admired list. Traditional strategies of quality and innovation are certainly in the mix at Starbucks, but sitting around a coffee tasting for three hours with Sylvia Arbesu, Regional Director of Operations responsible for 86 stores with 6 employees joyously performing their duties around us, it is clear something different is afoot. Passion, compassion, and purpose are in the air and in the stories of this leader, with the company since 2012. Sylvia had a high-paying, secure job in 2009 when Starbucks came knocking. They pursued one another for almost two years before she decided she was ready. "They flew me down once again, and for the first time ever in an interview, I authentically and emotionally opened up about my personal and professional life." They said they would call her, but having spilled her guts, she thought she surely blew the interview. "After two years of connecting, my future partner shared they were waiting for me to show my authentic core in a business setting." It was that unexpected element that got her the job in which today she takes so much pride. Transparency is not a rite of passage to, but rather a constant at Starbucks. "I can show up as a leader, and don't need to give my partners (see more on the partner term below) a corporate message," Sylvia said over cups of coffee and a French Press of Verana Blond Roast, paired with a lemon pound cake--a coffee tasting. We are "authentic and look each other in the eye. I want to know what you really think. You are who you are. There's a sense of peace that I can come in and truly be me at my own personal best." Previously in her career, she was repeatedly put in compromising positions such as having holiday dinner at someone's house who she knew was to lose their job, but the transparency at Starbucks fits her authentic self hand-in-glove. "When we know we are closing a store, everyone knows it--immediately." And no one gets let go. "We may be overstaffed in a couple of stores for a few weeks, but that quickly levels out, and everyone has a job in the end." Sylvia's consistent tendency towards top ratings in every job she had is reflexive and instilled by her grandmother who left everything behind in Cuba in 1962 for the sake of her kids' education. She said "What you put in your head," referring to education, "no one can take from you. If you are a president or earning minimum wage, be the best and be educated." But at Starbucks, "there is a happiness advantage," Sylvia claims. "I'm performing at a completely different level now because I believe in the mission of this company and its partners, and I know my partners and leaders feel the same." "You'd have to hear Howard to understand what fuels us," Sylvia said. "You can hear his heart when he speaks. He truly lives our mission," which is "To inspire and nurture the human spirit--one person, one cup, and one neighborhood at a time." Howard Schultz, glassdoor.com's #9 CEO, has used commerce through coffee as a vehicle toward a grander vision of benevolence. Employees are called partners because they get Bean Stock, or shares, every year. "One of my baristas is building a 3,000 square foot home in the Dominican Republic and has just bought a new car at 27, all from his Bean Stock," Sylvia says proudly, among her other astonishing examples. Starbucks also has a highly publicized tuition reimbursement policy. After 240 hours of work, the company will provide rolling reimbursement of tuition, 100% for four years of higher learning, with absolutely no strings attached. "Howard grew up in the projects of New York and is determined to provide education and health insurance for as many as he feasibly can," Sylvia said. Namely, Starbucks offers health benefits and 401(k) matching, even for part-timers. And then there is the Cup Fund, a partner-funded account to help other partners in times of need. In fact, Sylvia was to play in Cup Fund golf tournament the afternoon of our interview. "A shift supervisor's grandmother died, and the Cup Fund paid airfare to the funeral but also threw in extra money for a nice dress." "We are a people company that serves coffee, not a coffee company that serves people." A recent trip to a Costa Rican coffee plantation exemplifies how the company expands its philosophy beyond its corporate boundaries. "This was part of our Origins program. We go back to the coffee plantations and give back to the farmers and their families." She sites buying all the textbooks and backpacks for the schools of farmers' children. The company distributes trees optimized to the local climates in Starbucks labs to coffee farmers and their employees to ensure the success of their own independent family farms. A seven-year-old boy gave Sylvia a plantation tour and conveyed volumes about the types of coffee, their growth, harvest, and yield. "I turned to the boy's father and expressed my amazement at his knowledge and ambition. Without missing a beat, the farmer said, 'He has to. His life depends on it.'" Never before have I sat with a leader at a large corporation whose passion jumped across the table with every answer. Starbucks is a behemoth of benevolence--almost a karmic machine--with the fruits of commerce redirected back toward the passion, purpose, and compassion of the company's partners and other benefactors, who in-turn feed it right back into the company. Today's news is mired by claims that corporations have taken control of the social agenda. It would appear that in this case, Starbucks has indeed done that, but in a positive sense while bypassing Washington. And in doing so, the performance of the company is fueled to repeat and expand the same cycle year after year. Today's corporations desiring a similar growth record could stand to take note. Enjoyed this article? Check out The Monk Chat From Thailand. Follow me on LinkedIn and Twitter.